Our aim is to use theatre to develop young children (aged 18 months - 5 years) as individuals by encouraging their creative ideas and celebrating their choices. 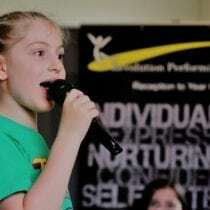 Bespoke nurturing performing arts sessions learning to sing, dance or act and gain confidence in fun sessions after school every week in term time. Exclusively for secondary school aged young people. Everyone is warmly welcomed and accepted for the individual they are. The clue is in the title, the group have a wonderful, unique rapport. 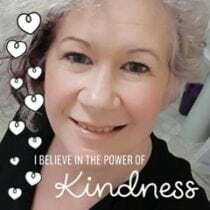 Fundraising group enabling RPA to deliver the arts to promote mental, emotional and physical health and wellbeing in children affected by all aspects of trauma and abuse. Singing, dancing and drama but also face painting; art & craft, roller disco, nail art, make up, tattoos, Lego, Nerf guns and much more. Places strictly limited to ensure individual attention to every child. RPA is delighted to offer bespoke personalised parties for children aged 18 months to 14 years. Forever Friendship is an inclusive class for young people with additional needs and their siblings/friends. Everything you need to know for your child to perform and to book tickets. ✨ Is your child lacking self esteem? 👬 Would your child benefit from widening their friendship group? 😁 Would your child like to feel part of something? 💃 Do you want to channel your child’s wonderful creative flair? 👌 We have the answer! JUST FIVE PLACES LEFT. BIG, BRIGHT DANCE STUDIO. PLACES STRICTLY LIMITED TO 20. 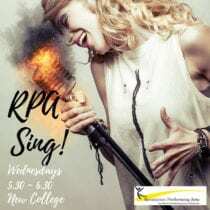 “MY DAUGHTER WAS THRILLED WITH THE CLASS, THANK YOU!” Mum to L.
Our RPA Performances in May & July – Frequently Asked Questions! Grab a cuppa (or a glass of wine), sit back and have a read. If you have any further questions, please do not hesitate to contact us. 1. What is the title of the performance? in 17 days and 18:49 hours. in 28 days and 23:49 hours. in 38 days and 23:49 hours. in 42 days and 18:19 hours. in 43 days and 23:49 hours. in 49 days and 18:19 hours. in 56 days and 18:19 hours. in 60 days and 15:49 hours.